Here are some additions to my makeup collection. These are MAC products under permanent range so you don't have to worry. It's available in-store and online. Sometimes it's frustrating to go to a MAC store where some of the colors you really want to buy is not available, so, I am giving you an option of similar color. I hope this will help you decide on what to buy like me which budget is really a factor when buying cosmetics that are not cheap. I don't want to buy without checking and knowing and feeling the texture one by one for me not to regret. I make sure that every single cent I spent with my cosmetic is worth it. Anyway, I am satisfied with what I bought because of the range of the color I chose. These are very pigmented and I always love MAC lipstick's vanilla scent (super yummy). Oh!I am not sure whether MAC Pro Longwear Lipcreme is available in-store in Philippines so leave a comment below if you bought this in-store in Philippines. And also, my friends told me that there are lots of people selling FAKE MAC products in Philippines and claiming it's from a Singapore MAC Factory. There is no such thing as Factory of MAC in Singapore neither they sell it like hotcakes. They don't even give discounts or promotions that much unless you are a MAC Pro artist or you get it from duty free stores. Fake products may harm you and it's a waste of money because you will not get the same quality, the texture, the smell, and color. Be very careful. MAC Pro Longwear Lipcreme Booyah!!! (US$18.00 for 3.6 g / 0.12 US oz)-this is a dark bright orange lipstick but not to the extent that it's neon. I thought that the color is similar to the MAC Chen's Limited Edition Force of Love that I bought before but Booyah!!! is darker, and very orange. MAC Morange is a lighter orange and very similar to MAC Good to Go. This has a creamy finish and applies without need of a top coat. I still have not tried to apply it once in 12 hours maybe because I am used to re-applying every 5-6 hours but it does stay long on my lips. Some bright lipsticks may look me old so I must be careful with bright lipsticks like this. I love that booyah compliments my skin tone but I opt to use this in cold days. I am not sure of the price on Philippine shelves so if you know the price, please leave a comment below. MAC Full Fuchsia Lipstick (US$15.00 for 0.10 oz.) is a sheen bright fuchsia pink. It has an amplified creme finish. This is darker than MAC Show Orchid and similar color as MAC Impassioned. I find this perfect for my warm skin tone rather than the MAC Show Orchid which makes my skin a little bit darker. Usually the price of MAC cosmetics in Asia is approx. 20-30% higher than in US and Canada. This is S$28.00 in Singapore and I believe it's about Php900.00 in Philippines. MAC Viva Glam III (US$15.00 for 0.10 oz.) is a dark plum-brown matte finish lipstick but not as matte as other MAC matte lipstick that I have. This is a little bit creamy. I was torn between Viva Glam IV and this Viva Glam III. No regrets because I super duper love this lipstick. I love that it's matte and the color compliments my NC25-warm skin tone. What i loved most of Viva Glam range is that every cent of the selling price of VIVA GLAM Lipstick and Lipglass is donated to the MAC AIDS Fund to support men, women, and children living with HIV and AIDS. How good is that?? ?I love to buy things which helps other people especially women and children. MAC Eye Shadow Matte Passionate-(US$15.00 for 1.5 g / 0.05 oz)-I supposed to purchase the brown script but I was absolutely attracted to this color. This is bright-pinky red with very good color pay-off as you can see in the photo below. DO YOU HAVE THESE LIPSTICKS? HOW ABOUT THE EYE SHADOW?HOW DO YOU FIND IT? WILL YOU BUY THESE? PLEASE LEAVE YOUR COMMENTS BELOW! I am happy that MAC Pro products is already available to buy online. 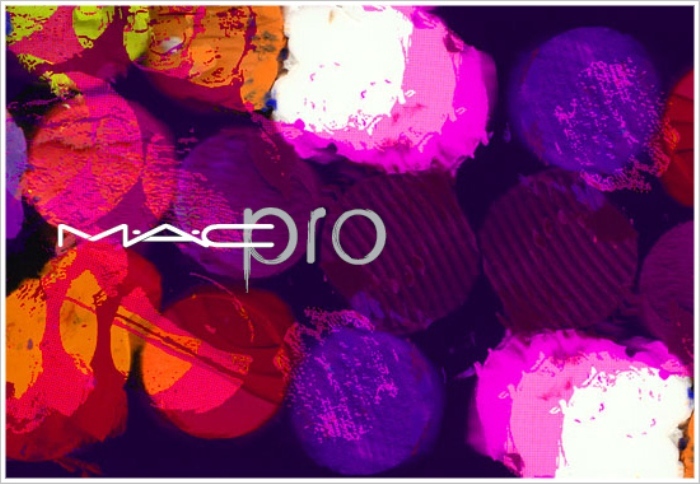 It started last October 18, 2012 (for US/Canada only) at MACCosmetics.com. You don't have to go to the nearest Pro store or calling a Pro store just to find out what products are available. You don’t also have to be a Pro member to purchase Pro products online. This is absolutely awesome!!! thanks shari! i love the viva glam iii so much!!! you have a wonderful blog!!! Thank you for following me!Your blog is great. Just followed you under GFC #78. Hi Iya! I know that Revlon Wine Not is super similar in color but usually matte lipsticks from revlon is drier compared to MAC viva glam iii but the color is very very very similar or almost the same. There is a similar color from NYX also which is NYX matte merlot but merlot is plum red while MAC Viva glam is plum brown which compliments more... I hope this helps! thanks! you are so quick!hahahah...thanks again! I’m addicted to MAC lippies! Would like to collect all shades!